Are you frustrated by the international blocks that stop you from watching Hulu? Are you a UK Netflix user, annoyed that the American selection of movies and TV shows is orders of magnitude larger than what’s available to you? Perhaps you’re a US citizen who would love to watch BBC iPlayer? Well, I have the perfect solution for you: a premium DNS service called UnoDNS which bypasses all those regional locks. We’ve got 25 one-year Gold subscriptions for UnoDNS to give away, worth a total of $1500! DNS is a service that’s essential to the internet. Everytime you visit a website by typing in the domain, your ISPs DNS service will be used to check the actual IP address location of that particular domain. UnoDNS is a replacement DNS server that you use instead of your regular ISP DNS look up; that’s not all though. Anytime you access one of the many supported region-locked websites, the UnoDNS servers will perform some intricate packet-level magic that fools the site into thinking you’re located within the boundaries of applicable countries. You’ll be indistinguishable from any other regular visitor in that country. Access to all geo-locked content? That’s right. Your UK Netflix account will suddenly have full access to US Netflix goodness – and believe me, there is a heck of a difference. I was getting a little bored of Netflix to be honest, but this has completely changed my mind – our TV remote hasn’t been touched in months. As a non-US resident, Hulu will open the doors to it’s catch-up service lovingly. BBC iPlayer won’t care where you reside, and will treat you like any other licence fee paying British citizen. The full list of channels available to you is immense. Here’s just a small selection of the more famous supported channels and services (but no means an exhaustive list – you can find a full list here) – see anything you like? There are no bandwidth or speed caps on UnoDNS – so you can watch as much as you like, anytime. How is UnoDNS different to a VPN? Although the two are completely different services, in our use case of bypassing region locked content there are a few factors to consider. First, a VPN slows down your entire internet experience, as well as your streaming ability. UnoDNS on the other hand doesn’t affect your download speeds since you don’t need to tunnel in anywhere. When you’re dealing with streaming media of any kind, speed is key. UnoDNS only changes the packets it needs to in order to get that region locked content to you; the rest of your browsing experience is unaffected – my full 50mb down/5mb up connection was maintained the whole time. UnoDNS provides servers in every corner of the globe (note: this doesn’t affect what content you can access, just ensures a great browsing speed) – and they’re all running on Amazon’s EC2 cloud computing platform – which pretty guarantees reliability and scales well for millions of users. This is what a premium DNS service is! A VPN also requires constant attention – you need to activate it when you need it, and reconnect if it fails at some point. UnoDNS is a simple a settings change on any internet device you own. Switch out your ISPs DNS server addresses for the UnoDNS addresses, and you’re set. That’s it – set and forget. You needn’t keep switching them around – it’s reliable and can be left on there permanently. Not all devices support use of a VPN – most notably the Xbox 360 doesn’t, and the majority of Smart TV devices don’t either. However, all internet connected devices should let you change the DNS settings. VPNs also generally only allow one device to be used at one time; if you’re using Netflix through the VPN in your bedroom, then the iPad can’t use it simulataneously. UnoDNS is tied to one public IP address – so that’s your entire household. You can even set it up as the default on your router, so all DNS traffic is automatically routed through UnoDNS. Genius. If you go on holiday you can keep using it too; just head over the UnoDNS IP management page, and allow access from a temporary IP address. You’ll need to register your IP on the service first, or anytime your public IP changes: simply login, and hit Auto-Update. 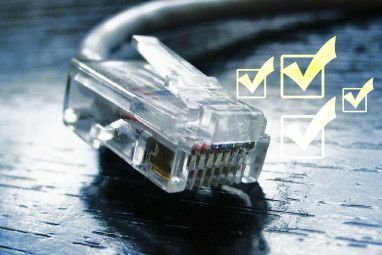 If you’re using a broadband always-on internet connection, you rarely need to do this, but there’s a bookmark provide which you can use in case, without needing to login. Next, head to over to the Global DNS cluster page to find some servers local to you. Find the two most local servers – you always need two, as one is used as backup. Now to change the DNS on your devices. (Note: sometimes you can just change this directly on your router thereby affecting every device on the network automatically, however, everyone’s router setup is different, and my particular router doesn’t even allow this). On a Mac, open up Preferences -> Network and click your active network connection from the list on the left (it’s the one with a green ball next to it), then click Advanced. From the DNS tab (other tabs will slightly different depending on if it’s hard wired or Wifi connection), click the + button to add a new DNS server. Paste in the addresses that you obtained earlier, each as a separate entry. Hit ok, then Apply the new settings. On an Xbox, head to Settings -> Network Settings -> (choose your connection type) -> Configure -> DNS -> Manual -> Primary, then Secondary DNS servers, replacing them with the addresses you obtained earlier. For Windows PCs and other devices, check out the setup wizard on the UnoDNS website. If you have any interest in watching online streaming media and are tired of fiddly solutions that need constant attention, UnoDNS is an absolute must-have. It’s simple, and it works – reliably. If only every internet service could be this good! We’re giving away 25 one-year Gold subscriptions to UnoDNS! Here’s how to win one. How do I win a copy of UnoDNS? It’s easy, just exchange your MakeUseOf points for an entry into the competition. It’s really simple: create a MakeUseOf account, earn points and exchange your points for an entry! Congratulations! If you were selected as a winner, you would have received your license via email from jackson@makeuseof.com. If you require any assistance, please get in touch with jackson@makeuseof.com before July 25. Enquires beyond this date will not be entertained. This giveaway begins now and ends Friday, July 20th. The winners will be selected at random and informed via email. Explore more about: Computer Networks, DNS, MakeUseOf Giveaway. it seems good but hope if it works as bypassing cyberoam too. If you choose not to use the service anymore you simply remove the DNS entries from your network configuration. As stated on the website: http://www.unotelly.com/unodns/pricing UnoDNS premium is $3.99 / month. its seems good but hope it can bypass cyberoam too. its been long searching for something similar. Tried everything, even bought a VPN Pro account from HMA. But its slow and doesn't work everywhere. Since I have just joined, and I don't have any points, is there a discount coupon anywhere? You havent joined, Gavin. Your user is showing up as anonymous. You need to actually create an account by login in using the social buttons on the sidebar. Then you'll be able to earn points easily by just sharing articles and commenting. Thanks, can you confirm that this time I have joined? No, you havent joined yet. Did you click the social buttons at the top of the sidebar? Also, this is a competition. There are no freebies, and no discount codes. There are other services and software available to members on the rewards page though. This is the first time I heard internet user can be bypassed region lock just by DNS. Can I call this service is a remote tunneling proxy? Sure, that sounds like a good name. Great giveaway, esp. in time for the Olympics. Count me in please. I would like to try this on a Seagate FreeAgent GoFlex box. Count me in please. I would like to try this on Seagate FreeAgent GoFlex media box. Wow. What's not to like? Here's hoping I win. This looks fantastic. I want to watch BBC and other region-restricted content.. here's hoping! This looks really interesting. Do you think it will run in the Philippines? thanks for the giveaway, a really useful thing. I would have never considered this but it opens up a whole new world of media I can consume! thanks! This really seems like the perfect soution. Please count me in for the giveaway. Its sounds very interesting . I need one also . fingers crossed...I'm gonna watch Hulu...listen to Spotify.. I use hotspot shield. It's free. I really need this because I want to watch hulu but it is only restricted to America. There is also http://tunlr.net/ which does almost the same job, but UnoDns looks so brilliant . Love to have one of these!!!! Please count me in. I would like to try it out. Incredible product. I read the article, suscribe to it. Setup my router (really easy to do), and now Wii, ipod and computers can use US Netflix. They even give you a 7 day trial for the Premium service. Hope I get the giveaway!!!! I have been looking for something like this for a while. Hope to be one of the luckiest winners and good luck to all guys. Peace. Sometimes they give away great software in the UK and it is protected by a geo-location lock. It doesn't really seem fair that just because I don't live in that region the software is unavailable to me. This looks to be a better way than the onion thing as they tend to blacklist IP addresses that are used often. This is at the packet level, I am using it right now and my public address has not changed at all. In the not very possible event that my current IP address is blocked, I will go to my router and make it renegotiate a new IP address with my ISP. One of the drawbacks with VPN is small countries are often left out of the game, as a destination. Thanks for this. I have been traveling a lot for the last few months and have really been annoyed by he lack of netflix. Count me in, sure can use this on my trip to the Olympics! Count me in. Heading to the UK for the Olympics! Great GIveaway. Please count me in too Dude.. Thanks for the Giveaway Dude. I really like to have this Software. Please count me in too Dude. I personally use this in France to stream Netflix US to my devices.